Cooking a roast for the family on vacation, I found this in a grocery store and thought I’d give it a try. 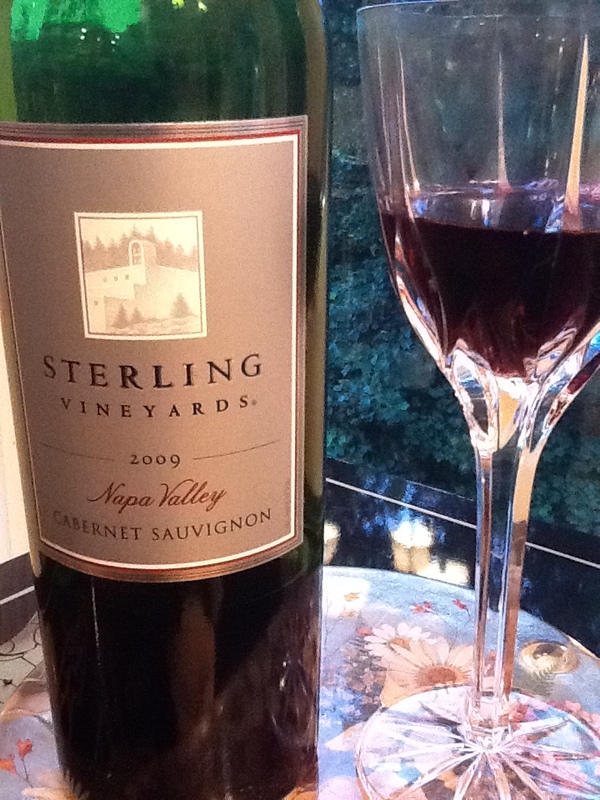 In the past I have enjoyed SterlingCabernet by the glass at restaurants where it’s a common find at a reasonable price for a Napa cab. The ‘09 was on par with my former experiences: a light purple color with ruby edging, nose of red plum, blackberry and cassis with toasted oak. On the palate very dark berry-forward lots of black cherry and ripe plum with the back palate experiencing black cassis, some earth and tar and much more American oak on the lengthy finish. Powerful acid and chewy tannins put this in the big & bold category. Not bad in the $20/bottle category, lists at $25/bottle on their website and seen online from $16-22. Link to the Sterling website is here. 360,000 cases made, originally released at $19/bottle. I picked this up at one of my local stores after the owner said, “this is one of the best examples of why New Zealand’s wines are such a threat to Europe.” Now that I’ve tasted it, I couldn’t agree with him more. The color is pale yellow with a tinge of green. The nose demonstrates citrus and herb. The palate is largely grapefruit with some honeydew melon, passionfruit, fresh cut grass, a tint of herb garden, and a final note of minerality. It’s crisp and tasty, very grapefruit forward. A nice summer wine to match salads, seafoods or by itself, it’s a pleasant wine that competes well with my beloved French whites, reminding me of Sancerre and delicious white burgundies. Due to the consistency and reasonable price I’ve found over several bottles, the wines of Crawford have been elevated in my opinion. With a large stable of grapes over many parcels in NZ, I’ve begun trusting the brand and stocking more of it with my regular purchases. Details: While this was a good deal for $14 at my local provider, I’ve show it’s release price at $19, seen it listed at $15.99 locally, and online from $13-20. It’s worth noting that the top wine reviewers have consistently rated this wine from 88-92 points since its first major review in 2004. It might be worth noting it’s slightly higher in alcohol than I like for a summer white at 13.5% by volume. The official Crawford website is linked here for your reference. 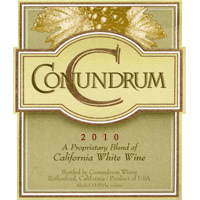 If you knew the winemaker is fifth generation winemaker from the Wagner family you might try it. 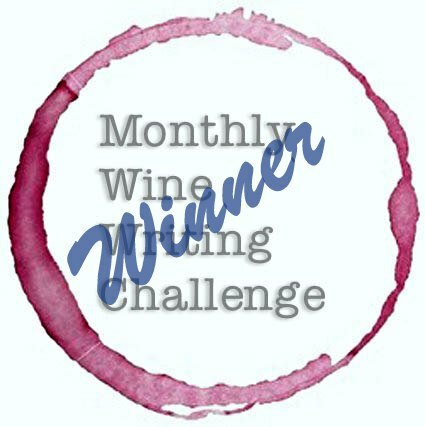 If you like wine from Santa Lucia Highlands of Monterey, CA, you might try it. If, like me, you’re a French wine snob and you see “Mer Soleil Unoaked” and you think, “Ocean Sun?”, ‘Ok that sounds good’- you might try it. That was my first reaction- the French name, and I inquired about the wine and was told it was from the Wagner family (of Caymus & Conundrum vineyards). I was sold. The bottle arrived tableside, and I was intrigued. A short, squat, gray ceramic bottle? “Oh, it’s not gray,” I corrected myself- “it’s silver.” I immediately thought of the concrete tanks used for modern winemaking. Why go to all this trouble with the bottle unless the wine is really great? After a nice taste, I determined: the wine is pretty good! It’s a solid chardonnay: pale straw color with a lemony nose, in the mouth it’s light, fruity, vibrant- free of the heaviness of oak and malolactic fermentation. Expect citrus, pineapple, some vegetation, young green apple and the minerality of clay and granite at the end. It tastes much like you might expect early morning Monterey sunshine to taste. 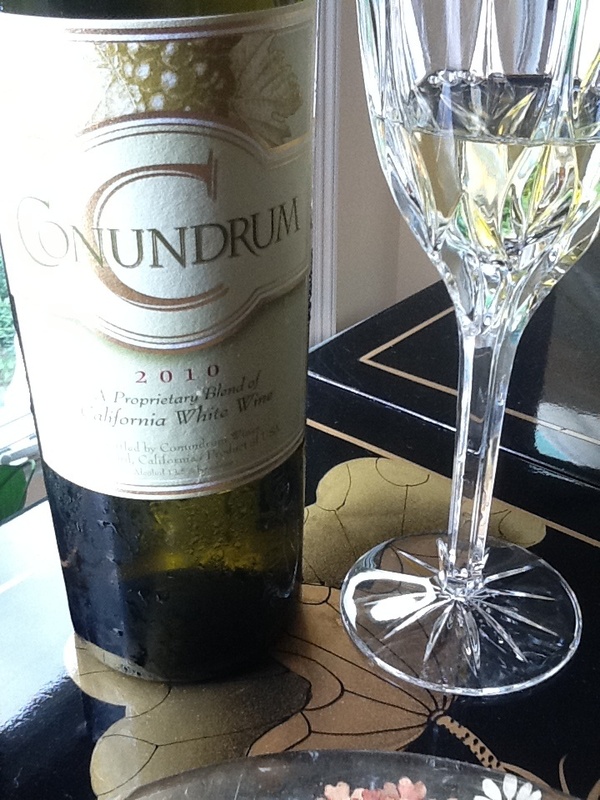 A tight, crisp, acidic wine, it has a short finish and is perfect for seafood. I tried this with Florida Red Snapper and it was a good pairing choice; others drank it with cod and enjoyed it fully. 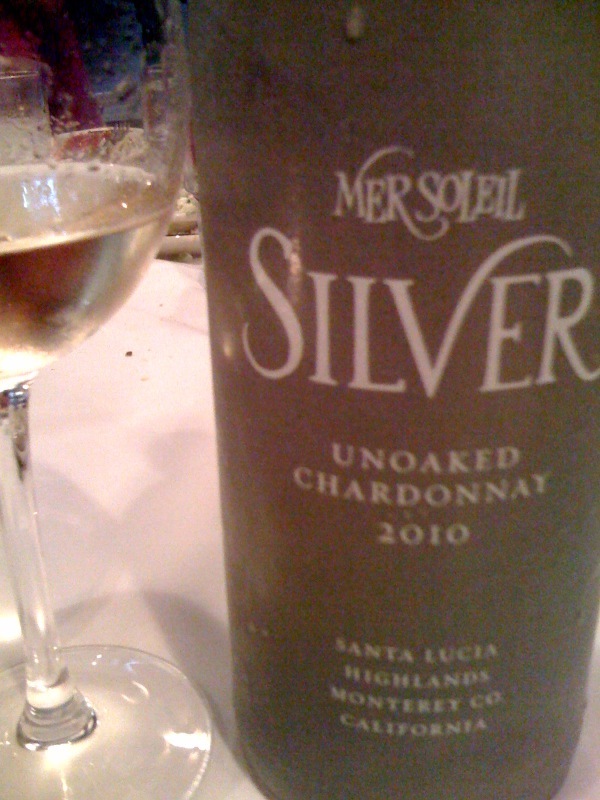 Mer Soleil Silver is a conversation piece on the bottle alone, then on the pedigree, as well as the terroir. Oh, and the wine is tasty, lush, and complex as it warms and opens to provide lots of discussion. Direct from the manufacturer at $24/bottle, seen online as low as $17/bottle. With scores in the 88-92 range, Chardonnay lovers of all types should give this a try. a cool youtube video about the wine is here. This is a dry sparkling wine, made using the Italian ‘Charmat method’ (if you’ve never heard of this and you’re interested, read about it here). Almost clear in color with the slightest color of pale straw, the flavor is effervescent with a slight citrus nose, vanilla and touch of green apple on the tongue. This is a delightfully gentle palate cleanser that maintains its personality as the temperature warms slightly and is delicious from start to finish. My stage manager buddy Lurie Pfeffer is a huge fan of prosecco and her interest made me reconsider this sparkling wine in general, to which I now must say- Champagne? I probably will not indulge when offered. But prosecco? I probably will! 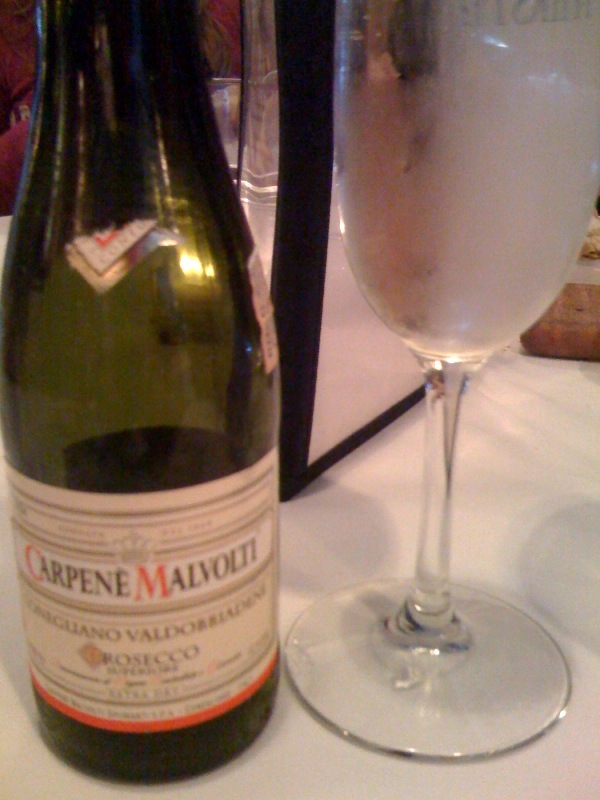 Many proseccos (but the Carpene Malvoti’s DOCG Cuvée Brut in particular) are still slightly acidic yet less dry and have a delicious, cleansing taste that make you want to keep sipping over and over, whereas a brut champagne needs something else to make it special- a cube of sugar, a tiny spoonful of caviar, strawberries and cream perhaps. Not so with Carpene Malvolti, it was amazing first on its own, then with a warm slice of buttered bread, even more as a foil to my appetizer of fish tacos. 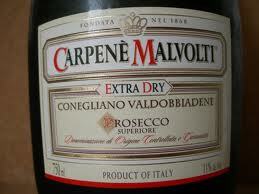 I’ll be keeping this prosecco up my sleeve for future use, and urge you to seek it out if you need a sparkling wine. Purchased in a restaurant by the individual serving for $9, I have seen it online from $9/375ml half bottle, and $13-18/750ml bottle.